I can remember learning to Ski bike or Ski Bob in fact when I was about 15 back in 1969, I found it much easier than skiing, better brakes as you had mini skis on your feet with 'claws' on the back and turning was like riding a motorbike as you just had to lean in the direction you wanted to go. 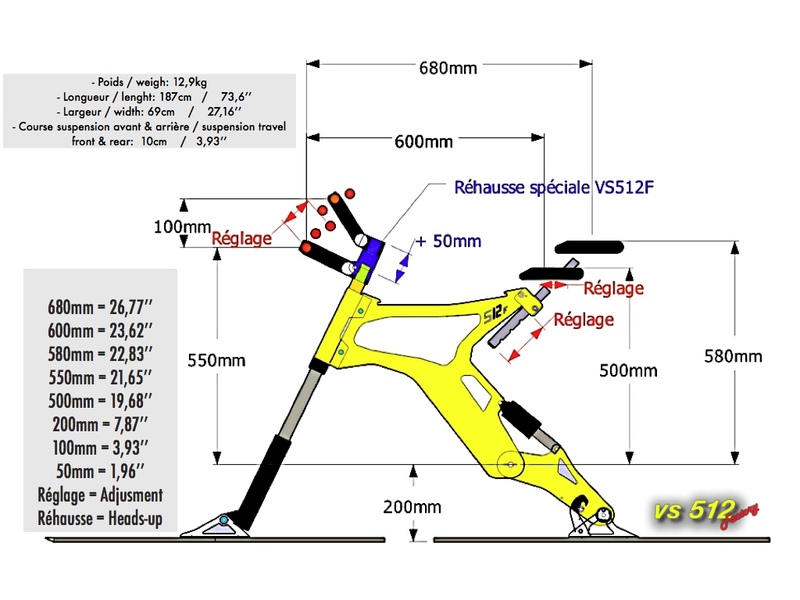 Are the new Ski Bikes similar? Riding hasn't changed that much since 1969, the main difference is that the majority of new riders no longer use mini skis on their feet. 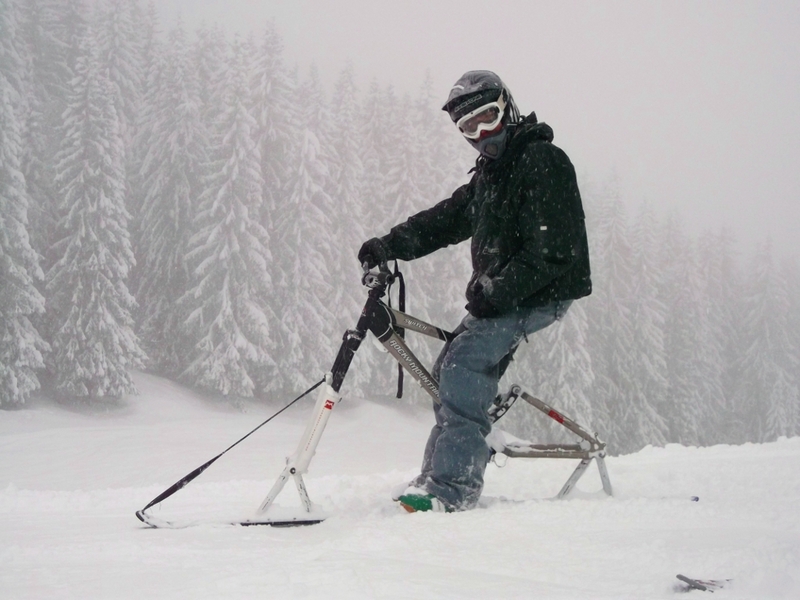 Some ride exclusively whilst standing upright on the foot pegs which aids rapid changes of direction and better control off-piste or over the bumps. This style of riding is more difficult and riders develop their skills at a slower pace, much the same as skiers or snow boarders would.